Family owned and operated since 1947, Birkmire has the knowledge, skill, and expertise to ensure customers receive superior service. We aren’t satisfied with being as good as the competition. We continually strive to meet the dynamic & ever-changing needs of the industries we serve. Birkmire is your local resource for providing organized, efficient, and stress-free transportation for your across town move. 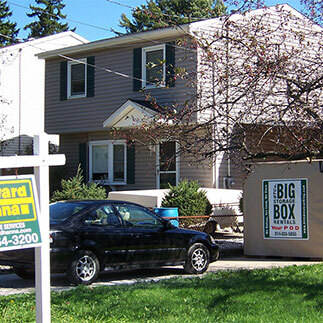 For quality moving services, Birkmire partners with Tri-State Moving Services, located in Erie, PA. We have you covered with our quick drop off/pickup method. 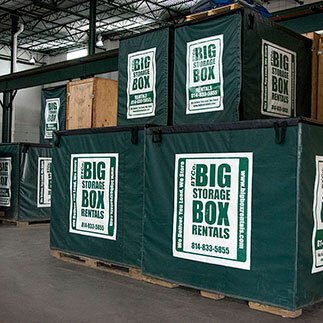 Our Big Box storage units are delivered to your door at your request. You pack and unpack at your convenience and timing. Utilize as many or few of our 5’x8’ Mobile Units and pay for only those you need. Pack them once, and unload them once at your new location after your new home is ready for move in. Do you have a need for a short time of transitional storage? We have that covered, saving you valuable time and effort by elimination the need to unpack and repack a moving truck. Moving across the country? With Birkmire’s “Erie to Anywhere” moving solutions, we help you with the actual logistical move. Our professional, experienced drivers transport your Big Box storage unit(s) safely and efficiently making your move less stressful and more organized. We offer in-house tracking and point of deliver requests. Scheduling your curb-side delivery during a time that coordinates with your arrival cuts rental costs, as you can coordinate your help to alleviate additional fees and expedite unloading. Birkmire’s moving solutions make moving across the country, a bit easier and less overwhelming. When moving, it’s not always possible to occupy your new home immediately. You may have to wait for the former owner to move out or, for the construction company to finish the work on your newly built home. In the meantime, you may temporarily move in with a friend or relative who has enough space to accommodate you or opt for a short-term house or apartment rental. Regardless of the temporary housing solution you choose, Birkmire offers transitional storage for that difficult in-between period, so you can get from point A to point B worry-free. We had an urgent need for a field office trailer and Birkmire Transportation Solutions worked with us to find a solution that met our needs, timeframe, and budget. Their customer service from start to finish was outstanding and exceeded our expectations. It was great knowing that they had everything under control and we could rely on them doing what they said they would do. I highly recommend Birkmire Transportation Solutions! Looking for self-storage that is secure and easily accessible? Birkmire’s self-storage solutions help declutter and create space. Whether you’re remodeling, need to free up valuable living space in your home, apartment or garage, we can safely store your items. Our mobile storage units, BIG BOXES, are delivered right to your door; you load your items and we store them in our heated warehouse. Do you prefer an option at your own property? Our “at your location” storage solutions allow for ease of access to you 24 hours per day and are sized right for your needs. We have refrigerated units for private events. 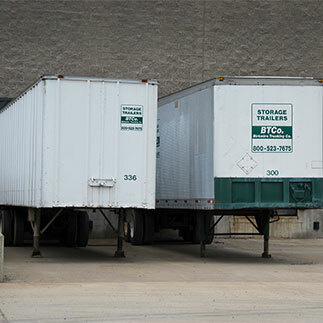 Birkmire supplies top of line, locally maintained storage solutions with access to your items via a simple phone call. Birkmire offers commercial and dock height storage units providing significant advantages to a wide range of industries. Our warehousing has over 100,000 square feet of heated storage space. Birkmire’s refrigerator storage units are ideal for commercial use in the event of an emergency or providing extra storage. An extra storage unit to store your perishables in case of an emergency such as a power outage or flood can be crucial. Birkmire can provide ground-level storage containers, or mobile trailer units, that are conveniently delivered to your location. Whether you’re looking for on-site storage for commercial, industrial, or construction needs, we have you covered. Birkmire Storage Solutions offers an array of field offices for a variety of commercial and institutional applications. Our custom built units allow us to creatively meet the unique needs of our customers. I have been using Birkmire for many years. They have always been great. I was hesitant at first to move to the new DOCK HEIGHT FACILITY, but now that I am here, I like the convenience for my delivery trucks. The units are lighted and plowed during the winter months. Birkmire’s refrigerator storage units are affordable, reliable and delivered right to your door. Our storage units are available for businesses in need of emergency cooler/freezer space, blood banks, outdoor parties, extra general storage for larger families, or emergencies, such as flooding or power outages. Our self-contained, cooled trailers will keep all your food and beverages cold on even the hottest of days, ensuring that your perishables will not spoil. ZABAWA 2017 has just finished at Holy Trinity RC Church with a roaring success! I am David Thiemann, a life-time parish member and Zabawa volunteer. Birkmire Trucking and Big Box have been our “partners” and supporters for the past two decades here at Holy Trinity. Our needs for refrigerated and dry storage have always been exceeded from delivery to service. Birkmire/Big Box has consistently met and exceeded all our requests over the past twenty plus years, refrigeration and freezer facilities are critical to a successful festival and the Birkmire Team are literally available to service us twenty-four/seven during our Zabawa event. All of the members of Holy Trinity and our volunteers offer a huge THANK YOU to Birkmire Trucking/Big Box as we begin to prepare for our Zabawa 2018 this August, our twenty-fifth year of celebrating our Polish heritage. We truly cannot do this without you! Birkmire knows your goods are too valuable to risk shipping with an inexperienced carrier. Birkmire Trucking ensures your belongings arrive safely and on time. For more than 65 years, Birkmire Trucking has been providing safe, efficient transportation locally and across the country. 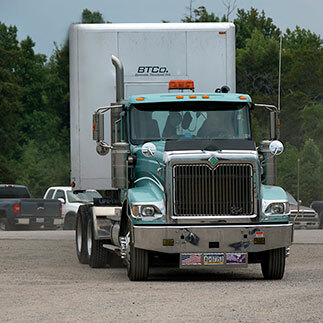 All our trucks and trailers are serviced regularly in-house, and all equipment is on a computerized maintenance schedule to enhance efficiency. We are registered with the ICC & PUC as a for-hire common carrier and apportioned throughout the 48 states for long-haul and/or short haul. Thanks for your skilled, reliable and prompt handling of our move to Florida. Rest Assured that we will recommend your company to our friends and neighbors.